India will hold the biggest Yoga festival in China next week where the iconic Indian spiritual and physical art form has become a rage with millions of health-conscious Chinese making it part of their routine. More than 1500 people are expected to take part in the Yoga Summit — the second such festival to be held in China in recent years — that will be held from July 7 to 12 at the picturesque city of Dali in Yunnan Province. Indian Embassy and Indian Consulate in Guangzhou is organising the event as part of the ongoing year-long Glimpses of India festival being organised across China to expose the Chinese public to popular Indian ancient dance and art forms. The Sangeet Natak Akadami dance troupe which is currently touring China is scheduled to perform at the festival. Geeta S Iyengar, daughter of the famous Yoga guru B K S Iyengar, along with 17 top Yoga exponents would take part in the event. B K S Iyengar, who visited China in 2012, has become a popular ambassador of the art form among millions of Chinese practitioners and his works were widely translated into Mandarin. The art form has become a rage with almost every gym across China having Yoga instructors. Specialised teaching centres like YogiYoga, run by Yoga exponent Mohan Singh Bhandari and Yinyan, a Chinese journalist who previously worked for Elle Magazine, trains over 8,000 would-be teachers. Yoga is also considered as a million-dollar business in China where it is seen as a more of potent physical exercise. There is, however, criticism about the certification of teachers being churned out by many institutes. The Yoga Summit which is being advertised all over China is expected to draw large audience, Indian officials said. Indian Ambassador Ashok K Kantha and top local Chinese officials were expected to take attend the festival. Cheng Cheng, a two-year-old Chinese boy can live without milk, but not without alcohol. 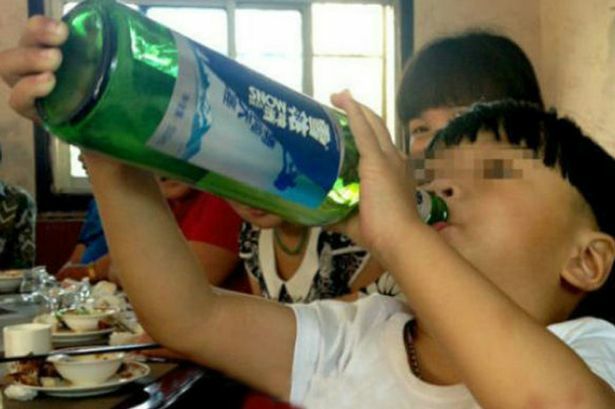 The toddler, who lives in the Anhui province of China, has become an international sensation for showing extreme addiction to alcohol at such a young age. Cheng was just 10-months-old when he tasted alcohol for the first time and downed his first bottle of beer before celebrating his first birthday, The Daily Mail reported. The boy’s father is said to have dipped chopsticks in white wine and put it in his infant’s mouth. “At that time, all of us in the family have already thought that this child can really drink a lot when he grows up,” Cai Teng, Cheng’s aunt told the Shanghaiist. Though his parents tried to lure him toward milk and juices, all attempts failed and the boy now can go to any lengths just for a sip of alcohol. The boy’s addiction to alcohol has made special occasions and festivals, a difficult experience for the whole family. “As sometimes he is really noisy, we have no options but let him to try a little bit of wine,” a family member, added. Concerned about the unhealthy habit, the family is taking extreme precaution to keep bottles away from the little boy. “We will not let him drink or touch alcohol anymore as we afraid that it will affect his growth,” Cai added. The picture of the toddler emptying a large bottle of alcohol has gone viral on the net, raising concerns both among local authorities and health experts. Though, the Chinese boy showed an ability to tolerate beer at a young age, some recent incidents show that exposure to alcohol at a young age can be risky and life-threatening. For instance, an eight-year-old boy named Lejin from Kollam district of Kerala in India died after he consumed his father’s Bacardi Gold rum. There is a clear reason why kids are not allowed to consume alcohol. According to health experts, exposure to alcohol at a young age can affect children’s development. A CDC fact sheet on underage drinking links the habit to disruption of normal growth, memory problems, alterations in brain development, alcohol poisoning, death and academic problems. Additionally, prolonged exposure to alcohol can damage the liver and increase the risk of being hooked to alcohol in adulthood. A Chinese official has suggested the biting of pencils as a possible explanation for excessive levels of lead found in children in a town in the south of the country located next to a chemical plant, state media reported on Monday. The plant, in Dapu in the southern province of Hunan, has been shut down after tests found that more than 300 children had excessive levels of lead in their blood, the Global Times, published by the ruling Communist Party’s official People’s Daily, said. 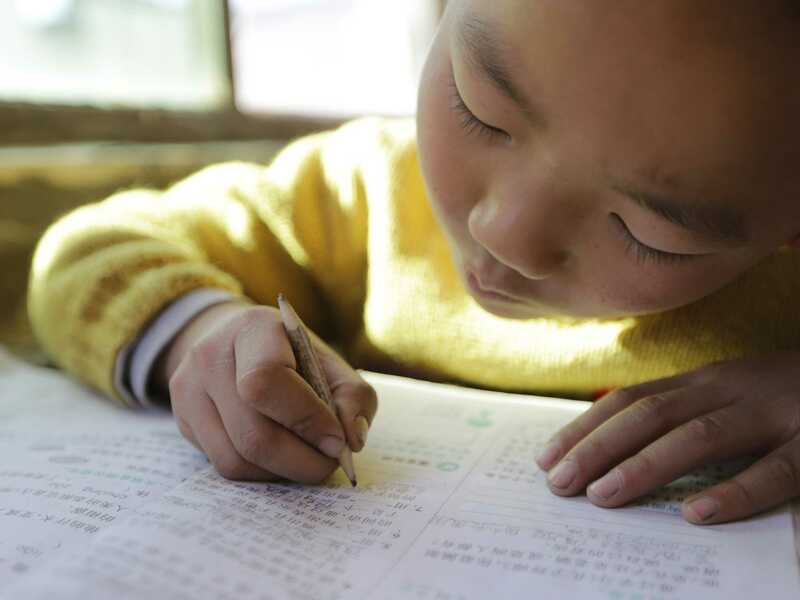 Su Genlin, head of the Dapu government, said the children could have been made sick by “biting pencils”, the newspaper reported, despite the fact that the “lead” in pencils is graphite. The government has now announced a probe into both the owner of the chemical plant and local environmental protection agency, the report added. Chinese media frequently report on similar cases in a country where breakneck economic growth has come at a terrible price for the natural environment in many places. In 2009, a smelter was closed after it was blamed for the lead poisoning of almost 1,000 children in the northern province of Shaanxi. Despite repeated pledges to get tough, the government faces an uphill struggle in poorer parts of the country where local authorities often rely on tax receipts from heavily polluting industry. Nearly 12 percent of Chinese adults (about 113.9 million people) are suffering from diabetes, according to a new study published in the Journal of the American Medical Association (JAMA) on Tuesday. Based on nearly 99,000 samples taken in 2010, the study estimates that 11.6 percent of Chinese adults are diabetic, making China’s rate of prevalence of the disease the highest in the world. 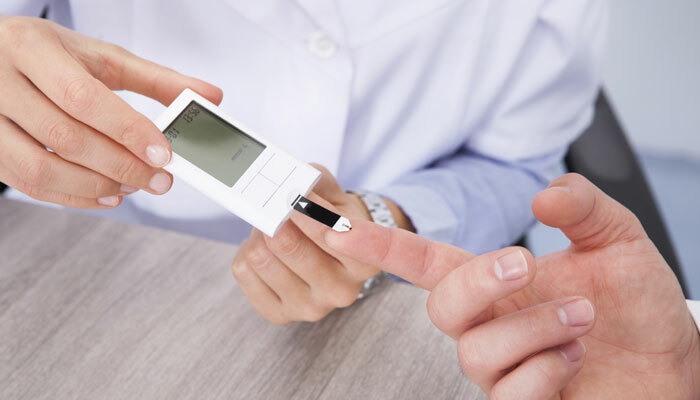 “The prevalence of diabetes has increased significantly in recent decades and is now reaching epidemic proportions in China,” the researchers write. JAMA notes that diabetes rates in China have risen dramatically over the past decades. While less than one percent of the Chinese population was diabetic in 1980, that number rose to 5.5 percent in 2001, 9.7 percent in 2007 and 11.6 percent today. The JAMA study also indicates that the prevalence of the disease has increased as economic development has given way to overweight and obesity. “Diabetes is a societal and a health care challenge due to complex interplays among genetic, perinatal, lifestyle, and environmental factors, to name but a few. Rapid modernization has resulted in an obesogenic environment characterized by food abundance, physical inactivity, and psychosocial stress,” Dr. Juliana Chan of the Chinese University of Hong Kong writes in an editorial accompanying the report. Only one in three patients was aware of his or her condition, and a mere one in four received treatment. “Even when the individual becomes aware of his or her risk conditions, the health care systems in many developing areas are not designed to manage and support a person’s multiple health needs for 30 to 40 years or more,” Chan added. According to the International Diabetes Federation, more than 371 million suffer from diabetes worldwide, and 4.8 million people died of the disease in 2012. The new JAMA data suggest that China has a higher diabetes prevalence rate than even the U.S., where 11.3 percent of adults suffer from the disease. China’s air pollution is a regional health issue and impacts the economy in terms of foreign investment and talent retention, the United Nation’s health agency chief said. Chinese Premier Li Keqiang said earlier this month that pollution is a major problem and the government will “‘declare war’’ on smog by removing high-emission cars from the road and closing coal-fired furnaces. Air pollution led to genetic changes that may have sapped learning skills in children whose mothers were exposed to a Chinese coal-fired power plant a decade ago, researchers reported on March 19. Pollution in Beijing today rose to more than 10 times levels considered safe by the World Health Organization. The concentration of PM2.5 — the small particles that pose the greatest risk to human health — hit 270 micrograms per cubic meter in the Chinese capital as of 12 p.m., a U.S. Embassy monitor said. The WHO recommends 24-hour exposure to PM2.5 levels of less than 25. Smog produced by China affects not just the country, Chan said, as winds can carry pollutants across borders to neighboring states and even further afield. Pollution from China’s export manufacturers travels across the Pacific Ocean to the U.S. West Coast, contributing to smog in Los Angeles, according to a University of California, Irvine study published in January. 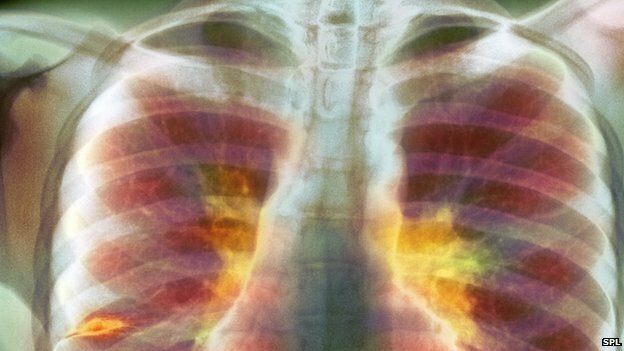 China has more than halved its tuberculosis (TB) prevalence, with rates falling from 170 to 59 per 100,000 population, figures suggest. The Lancet report says the success is due to a huge expansion of a community-based disease control programme. The World Health Organization says other countries could use a similar approach. China is a major contributor to the global TB pandemic, accounting for more than one-tenth of cases worldwide. The Lancet report reveals what progress China has made on reducing this burden, based on a 20-year-long analysis of national survey data. Between 1990 and 2000, levels of TB were reduced in provinces where the WHO-recommended directly observed treatment, short-course (DOTS) programme – rapid detection and cure of infectious tuberculosis patients living in the community – was adopted. By 2010, TB prevalence in China fell by 57%, tripling the reduction of the previous decade. The increase of known TB cases treated using DOTS rose from 15% in 2000 to 66% in 2010. Lead researcher Dr Yu Wang, from the Chinese Centre for Disease Control and Prevention in Beijing, said: “One of the key global TB targets set by the Stop TB Partnership aims to reduce tuberculosis prevalence by 50% between 1990 and 2015. The 2014 World Health Assembly will look at eliminating TB and setting ambitious new targets which could include a 50% reduction in tuberculosis prevalence between 2015 and 2025. He said other countries could learn from China’s example. TB remains a big issue in many countries, including India, Russia and many African nations. Better diagnostic tools and treatments are still needed. Anti-smoking campaigns have proven effective in some parts of the United States, but what effect could they have on a country ranked third among the number of active smokers? Guidelines implemented by the World Health Organization (WHO) could prevent up to 13 million smoking-related deaths in China by 2050 and could reduce the number of smokers by more than 40 percent. According to the WHO, half of all smokers will die as a result of tobacco use including upward of six million people each year. Out of the global impact of smoking-related fatalities, 600,000 have been attributed to non-smokers who were exposed to second-hand smoke. Approximately, 80 percent of the estimated one billion smokers around the world live in low- and middle- income countries. Countries who have implemented bans on tobacco advertising, promotion, and sponsorship have decreased tobacco consumption by seven percent in some countries and 17 percent in others. Researchers from Spain, France, and the U.S. estimated the potential health impact of the WHO’s proposal using the SimSmoke Tobacco Control Policy model, an international record of smoking prevalence and smoking-related deaths. Researchers said, in a press release, implementing the guidelines set forth by the WHO “would lead to as much as a 34% relative reduction in male smoking prevalence by 2020, and a 41% reduction by 2050.” If the WHO guidelines are ignored, China can expect an additional 50 million smoking-related deaths between 2015 and 2050. Following the application of smoke-free air laws and tobacco marketing bans have showed “potent and immediate” effects in other countries. Implementing smoke-free air laws in China could reduce smoking rates by nine percent in 2015. Furthermore, increasing increase taxes by 75 percent could also reduce the number of smokers by 10 percent of both males and females by 2015. 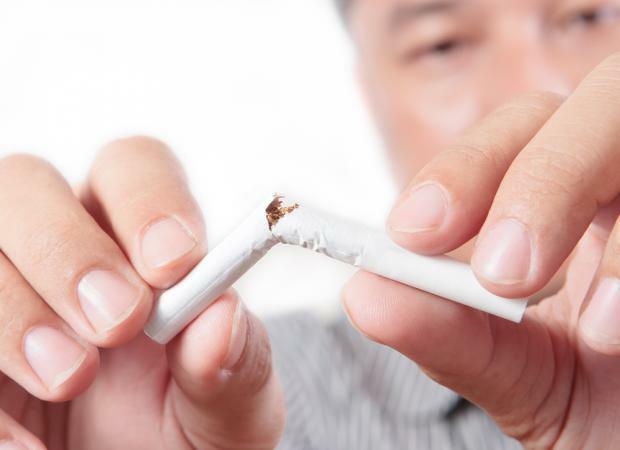 By 2015, the number of smoking-related deaths was expected at 932,000 men and 79,000 women. The 73-year old woman, from Jiangxi Province in China, developed a fever, cough and chest tightness in late November last year, and was admitted to the hospital soon afterwards. Despite treatment with antibiotics and antivirals, her condition worsened, she developed severe pneumonia and many of her organs began to fail. She died on Dec. 9, nine days after her symptoms began. Tests showed the woman did not have a seasonal flu virus, but rather, she was infected with H10N8, a flu virus that’s been detected previously in wild and domestic birds, but had never been seen in people. Late last month, another case of H10N8 was reported in a 55-year old woman living in the same province in China, and she is in stable condition, according to the World Health Organization.